Hi girls! I hope you're having an amazing weekend so far. Mine is kind of busy, doing all the things I can't seem to find time for during the week... You know that too, right? Plus swatching, of course! Anyway, after the Lily Collection earlier this week, I, today, have for you the second Nails Inc and Gossip Girl collaboration set : the Blair Collection. 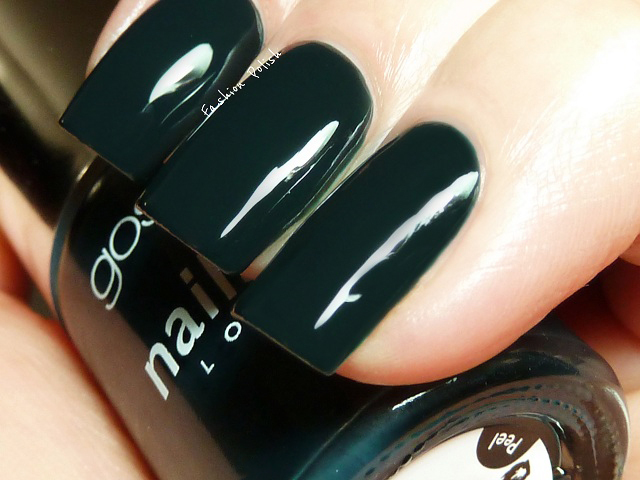 Blair is a beautiful dark teal creme. It's rather on the green side of teal and somewhat has a strong dusty look. I feel like I've seen tons of teals like it and yet still find it beautiful. Formula was really nice, thin but without being watery, it applied evenly in 2 coats. Priviledged is a nice green to blue flakie topcoat. I found it to be less dense than High Society from the Lily Collection and the flakies have a less visible color change but, again, it's a nice combination of colors. I applied one coat of Priviledged over Blair, plus topcoat. Same conclusion as my previous post, I love this set but still find it to be a bit too expensive. 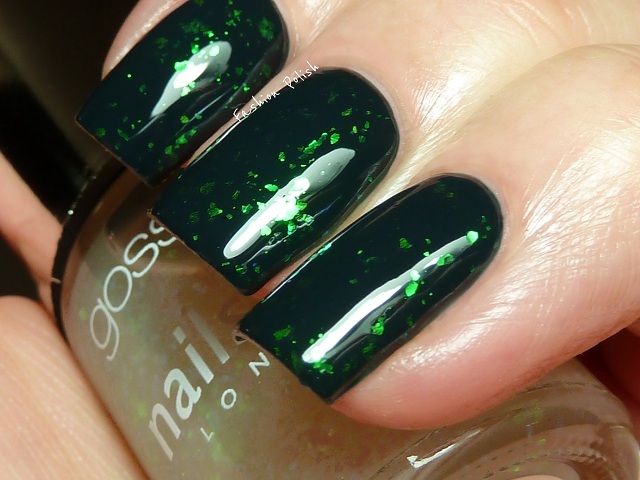 For a cheaper alternative, go for the Wyndham Collection, from Nails Inc too. It retails for $10 less at Sephora. you have gorgeous nails. totally agree with you on the Windham collection. almost identical, art least the flakie topcoat is. makes one wonder why they don't come up with something new? Hmmmm. $10 is more than I am willing to pay for a polish. Really nice color though. 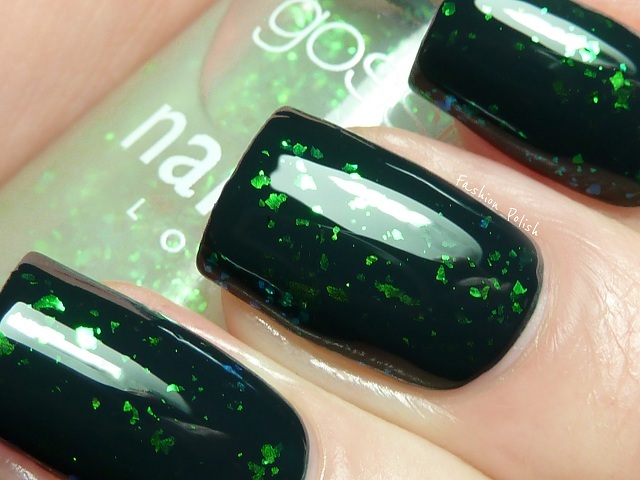 Blair is so gorgeous, I´ve never seen a deep dark green like this before. Wonderfull! ooh pretty, I actually think I love blair more then the flakie in this set! Blair loooks quite tealey in your pictures, does it look like that irl or does it look black ? Hmm, yep £20 is a lot for this set ! especially now there's so many cheaper alternatives ! @nail loopy Blair is definitely teal. The black one is Serena from the Serena set. Wow this polish is great!! Blair is a beautiful color...but you're right about the price. BTW, you have the most gorgeous nails! And, I don't post much, but I just wanted to thank you for taking the time and effort to swatch and post all of these polishes. I look forward to it and it is very helpful - so thanks for all of your hard work, I love your blog! Crazy shine! Love the colour too! I am in love with this combination!! I also mention you on my blog post coming up tomorrow-thought i'd give you a heads up!